The Odds Are Against Us - Oren Litwin, ed. Now that's a sock on the jaw! 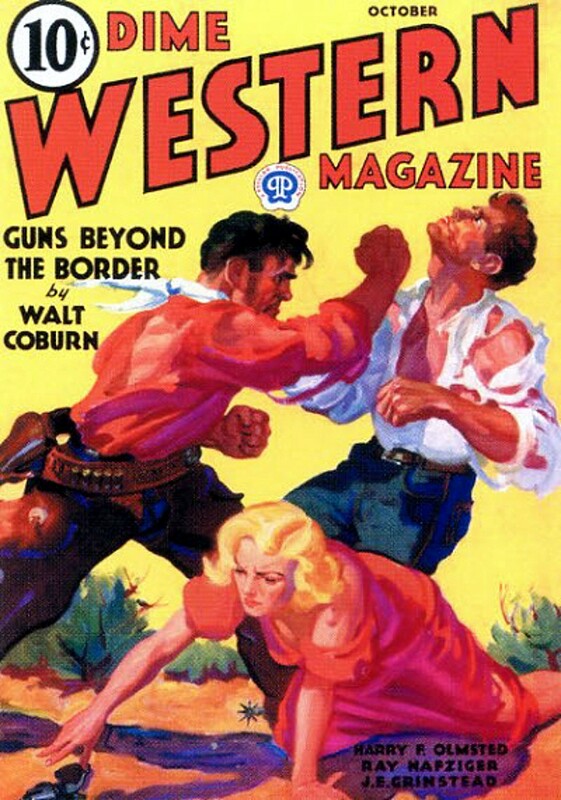 In addition to a dynamic cover, this issue of DIME WESTERN also features some great Western pulp authors: Harry F. Olmsted (with a novella and a poem, and he's also possibly the author of the Tensleep Maxon story under the pseudonym Bart Cassidy), Walt Coburn, Ray Nafziger (twice, once as himself and once under the name Grant Taylor), J.E. 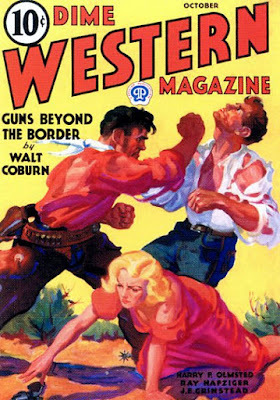 Grinstead, and Dabney Otis Collins. Definitely an issue worth reading!